Contrary to popular opinion, increasing numbers of migrants continue to participate in the political, social, and economic lives of their countries of origin even as they put down roots in the United States. The Transnational Villagers offers a detailed, compelling account of how ordinary people keep their feet in two worlds and create communities that span borders. Peggy Levitt explores the powerful familial, religious, and political connections that arise between Miraflores, a town in the Dominican Republic, and Jamaica Plain, a neighborhood in Boston and examines the ways in which these ties transform life in both the home and host country. 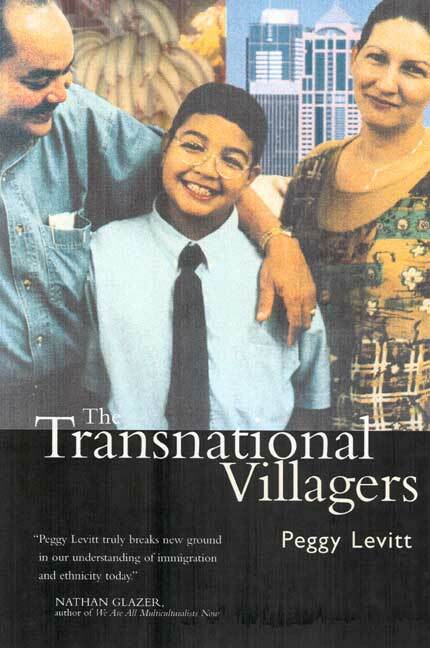 The Transnational Villagers is one of only a few books based on in-depth fieldwork in the countries of origin and reception. It provides a moving, detailed account of how transnational migration transforms family and work life, challenges migrants' ideas about race and gender, and alters life for those who stay behind as much, if not more, than for those who migrate. It calls into question conventional thinking about immigration by showing that assimilation and transnational lifestyles are not incompatible. In fact, in this era of increasing economic and political globalization, living transnationally may become the rule rather than the exception. Peggy Levitt is Assistant Professor of Sociology at Wellesley College and Associate at the Weatherhead Center for International Affairs at Harvard University.